In my experience, the best way to reward yourself for a job well done is with food. As a reward for a successful trapeze lesson, Caitlin and Tyler picked Kat and me up at Pier 40 last Saturday and we drove to Arthur Ave in the Bronx together. This was, well what do ya know, another item on my 28 Things, suggested by Caitlin. 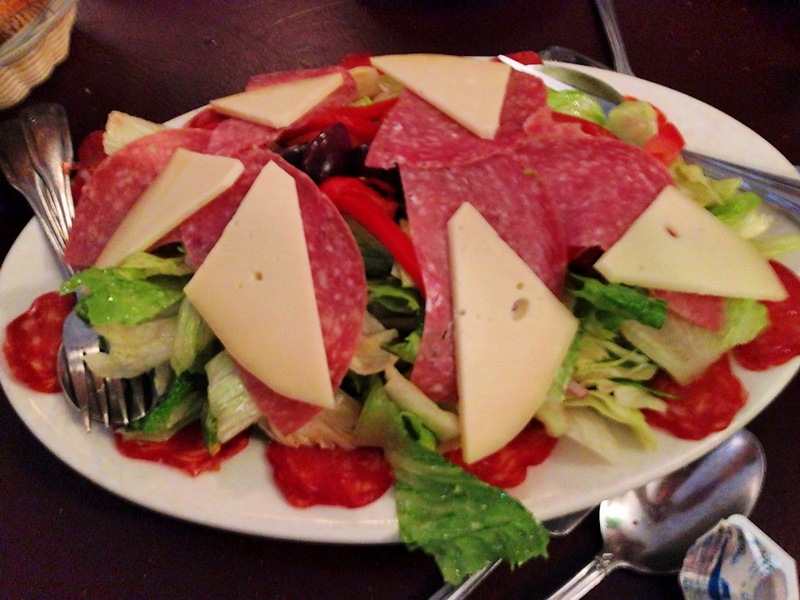 Arthur Ave is similar to Little Italy, but some would say it's even more authentic. I won't be experiencing real-life Italy for another few months, so I can't verify this yet, but I can tell you that everything was delizioso. We started off at Dominick's which everyone kept recommending to me the week before. I was told that it would be family style, that we'd be sitting close with other people, and that we wouldn't order but just eat whatever the waitstaff decided to bring us. I loved this idea and was excited when we didn't get menus, but the waiter did end up asking us what we wanted. I said "something with chicken" hoping he'd just make the decision (like at speakeasys where you say you like vodka and they bring you a random drink with vodka), but he made me pick from a few dishes. I chose Chicken insert Italian-sounding adjective that I forget here which he told me was spicy. We also got antipasta, a stuffed artichoke, osso bucco, and of course, pasta with sauce. 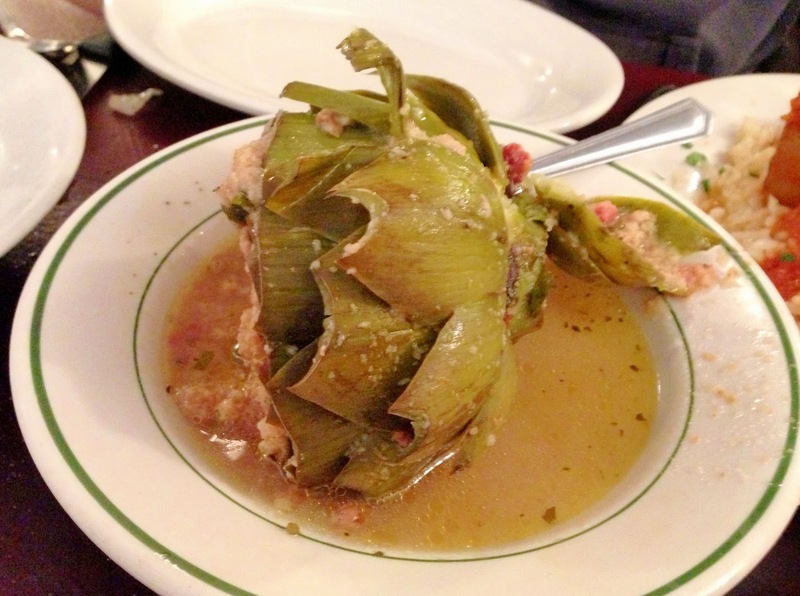 Everything was amazing, especially the stuffed artichoke, which I had never tried before aside from in dips with cheese. We weren't the only ones who enjoyed our meals. While we were eating, a man got up to leave with his pants still unbelted and unbuttoned and his friend followed with a huge pasta sauce stain on his thigh. If that doesn't speak for the food, I don't know what does.